I know I am going to get a lot of "flack" for writing this article but I feel that it needs to be done. Exercise is meant to help you, right? Unfortunately, there are certain “exercises” that are very commonly used in most Fire Rescue Athletes’ workouts that are actually harmful. These exercises are being performed in firehouses (and gyms) all over the world and actually bad for your joints and are pretty much useless when it comes to building functional strength or losing fat. These five exercises were selected because they create muscle imbalances, have minimal functional benefit to the fire rescue athlete, and/or put joints into an unsafe position. Here are the 5 worst exercises for the Fire Rescue Athlete. 1) Leg Presses—Yep, probably one of the most popular exercises really isn’t the best for you. Here’s why; the leg press creates muscle imbalances, has zero functional benefit, and puts the knee and hip joints in unsafe positions. The muscle imbalances occur because the quads are generally stronger than hamstrings and the leg press reinforces this problem. An imbalance between your quadriceps and hamstrings can quickly result in a number of knee issues, including patellofemoral (kneecap) and meniscus damage. Even worse, when your quads overpower your hamstrings, it’s not uncommon to develop restrictions in these muscles as your body attempts to even things out. These restrictions lead to increased pull on the top of your pelvis, tipping it forward, and placing pressure in your low spine (low back injury). 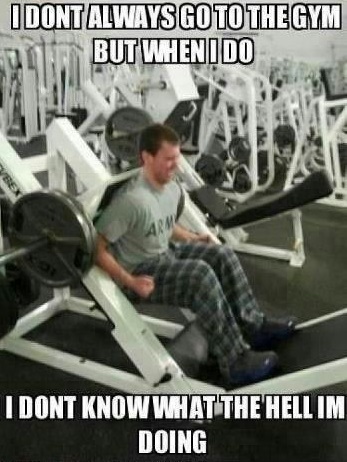 Need more reasons not to leg press? In most cases, when people are doing the leg press, they aren’t coming down to a full 90 degrees of knee flexion, which is needed for getting in/out of a chair, lifting a cot, and climbing ladders. The leg press also supports your upper torso which takes the core component out of the exercise which then doesn’t strengthen the abs or low back. What exercises should you do instead? There are some great functional alternative exercises like goblet squats, barbell squats, split squats, lunges and single leg touchdowns. 2) Leg Extensions- First leg presses, now leg extensions? Yes, leg extensions are a very over-rated exercise. Now, before I get into why, I do have to say that they can have their place in a rehab situation but only when recommended and supervised by a physical therapist. Leg extensions, like the leg press can reinforce muscle imbalances. This exercise isolates the quads and can add to the quad to hamstring muscle imbalance. This exercise also puts a tremendous amount of torque on the knee. Think about a long screwdriver and a short screwdriver. It’s easier to use the long one because you can generate more torque with the longer distance. In the case of the leg extension, the muscles worked are above the knee but the weight is applied below the ankle. Think about that distance... that’s a lot of torque on the knees. Instead of doing the leg extension, choose a more functional, compound movement such as squats, deadlifts, or lunges. 3) Behind the Neck Pulldown or Presses- This motion is by far the worst for the shoulder. Why? It puts a tremendous amount of stress on the rotator cuff and can lead to terrible neck strain. Watch someone do this exercise with heavy weight, they externally rotate their shoulders and jet their head forward. Honestly, if you have ever injured your shoulder or neck, you know the minimal strength gain from this exercise isn’t worth the risk. 4) Machine Leg Curls- Yep, another leg machine that you should not use, add this to the list with the leg press and leg extension. The main reason you shouldn’t do this exercise is that it places a lot of force on the distal hamstring, rather than proximal. This results in increased pressure behind the knee which then increases the potential for damage and fluid buildup. Also, I can’t think of any reason you would perform an isolated movement like this in daily life, especially on the fire ground. This is a question of torque on the knee again. Also, in this case, the hamstrings tend to cramp a lot, which isn’t necessarily a good thing or necessary at all. Alternative exercises: deadlifts, good mornings, glute-ham raises. 5) Bicep Preacher Curls—I know what you’re thinking; how can you sculpt my “guns” without this exercise? Well, first of all this exercise is awful for your posture- it forces the shoulders to round forward which leads to increased tension on the rotator cuff and biceps tendon. This extra tension can lead to rotator cuff tendonitis, biceps tendonitis, and increase the risk of capsule tears in the shoulder (all are very painful). Also, the biceps flex the arm at the elbow and also act in supinating the hand (meaning it turns your palm up). Preacher curls only work on elbow flexion, which means you’re missing 50% of the muscle’s action… not very effective. Alternative exercises: Dumbbell curls, Dumbbell hammer curls, or performing curls in any standing position. Alternatives to long slow cardio: Intervals, metabolic conditioning, bodyweight circuits, and burpees. You can read more about intervals for fire rescue athletes by clicking here. The idea of being a fire rescue athlete is to be physically ready for anything, any call, any situation and these exercises do not help you do that. We exercise to be stronger, more agile fire rescue athletes and to live longer, more functional lives. If an exercise has no true benefit to accomplishing any of these goals, then what’s the point of doing it? Just because someone tries an exercise in a gym isn’t a reason to make this part of your routine. I firmly believe that we as firefighters, EMTs and paramedics need to approach exercise and workouts like athletes do- have a thought process and plan for your workouts. If you need a plan or help creating one, please sign-up for my free 28-day Fire Rescue Fitness Quickstart Workout. If you sign-up today, I will include the Standard Operating Procedures to Eating Healthy in the Firehouse and send you other efficient and effective Fire Rescue Workouts. Sign-up HERE Today.